Camouflage print comes in all colors, various prints and styles. It’s time to get girly but still show we can hang with the guys as well. Plus it’s definitely needed when it’s raining. After all camouflage print is based off nature, so why not add a little bit of floral print to the mixture. Nasty Gal knew exactly what we were thinking and boom, arrives the Hidden Bloom Jacket. The floral jacket is light in weight so it definitely goes on our Spring Vices list. Did we also mention it has a hood! So even in the rain we’ll look stylish! 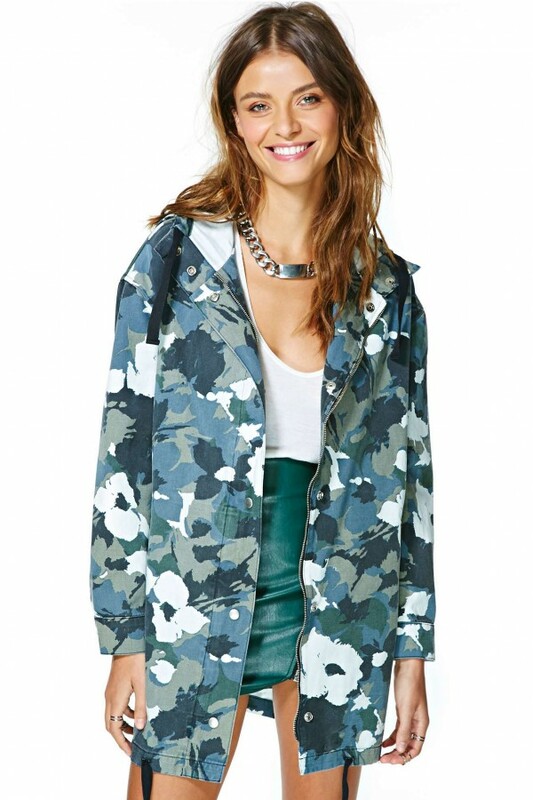 Nasty Gal has come a long way and this jacket adds a real fun flair to their ever growing collection. It retails for $68 USD and you can cop it here!